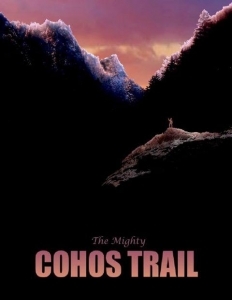 The Cohos Trail threads its way through eight distinct geographical regions within New Hampshire’s largest and most remote county, Coos County. Each section has its own unique features that are ripe for exploration on a day hike or a weekend trek. 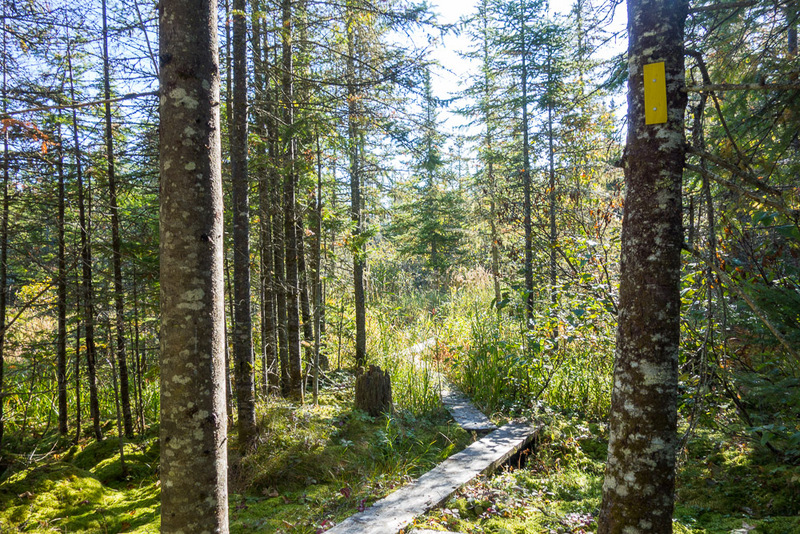 The southern terminus of the Cohos Trail begins in the White Mountain National Forest. 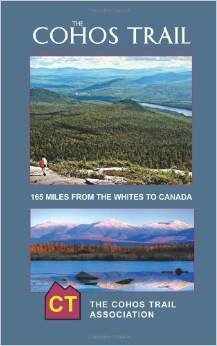 It takes at least two days of hiking to transit the route from southern Crawford Notch at Notchland to the Mt. Washington Hotel. In between are some of the tallest peaks in the Northeast, including 6,288 foot Mt. Washington. 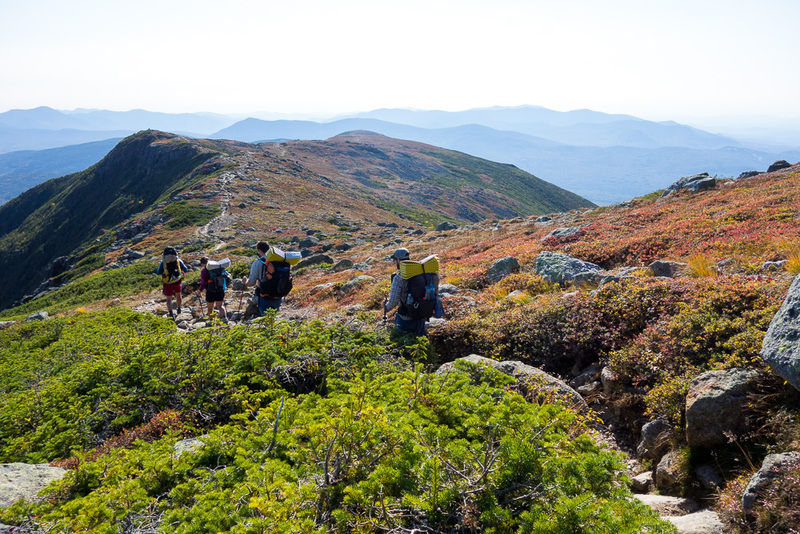 The trail crosses near the headwaters of the Saco River, reaches four waterfalls, and approaches Dry River Shelter and the AMC’s Lakes of the Clouds Hut (depending on which of two alternate routes you take). 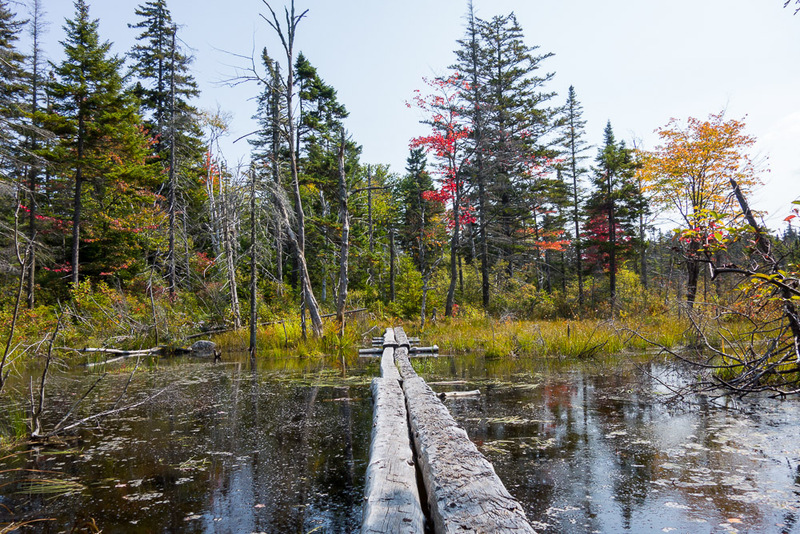 This segment of the trail boasts several dramatic summits, cliff ledges, and the superlative 6,000-acre Pondicherry Wildlife Refuge, one of the more critical wildlife habitats in New England. The refuge is a home to or way station for over 200 species of birds. Views from Mt. 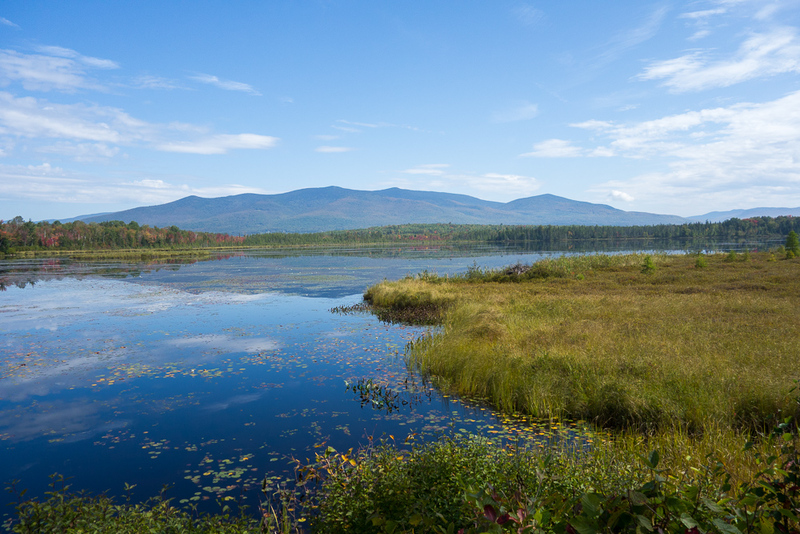 Martha and Owls Head ledges are among the finest in the White Mountains, and the view across Cherry Pond in the wildlife refuge is the most dramatic of the Presidential Range that can be had. The only noncontiguous section of the White Mountain National Forest, the Kilkenny boasts more than 100,000 acres of remote forests and 4,000-foot mountain ranges. The Starr King Trail and Kilkenny Ridge Trail offer 25 miles of wilderness hiking. The trek reaches nine summits, glacial tarns, a large beaver impoundment, the Mt. Cabot cabin, an ice gulch, and a federal recreation area at South Pond. The journey through the Kilkenny takes at least two days. 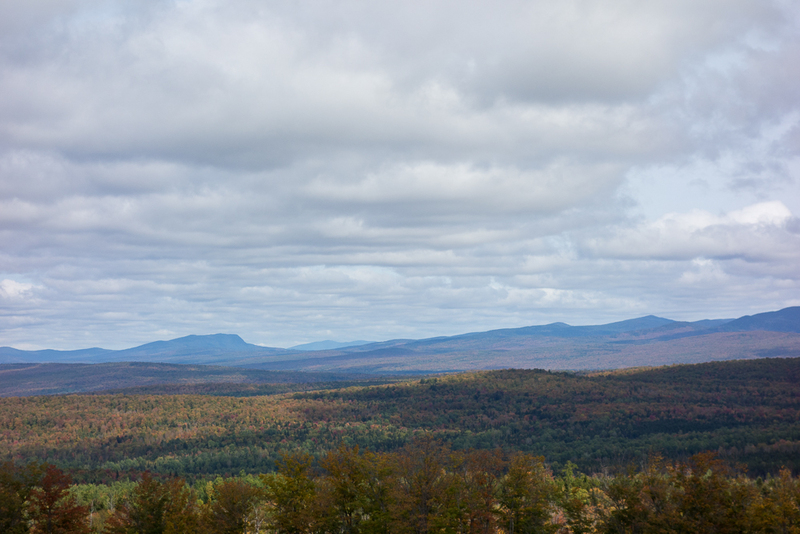 There are views aplenty from remote lookouts throughout the region. Wildlife abounds. 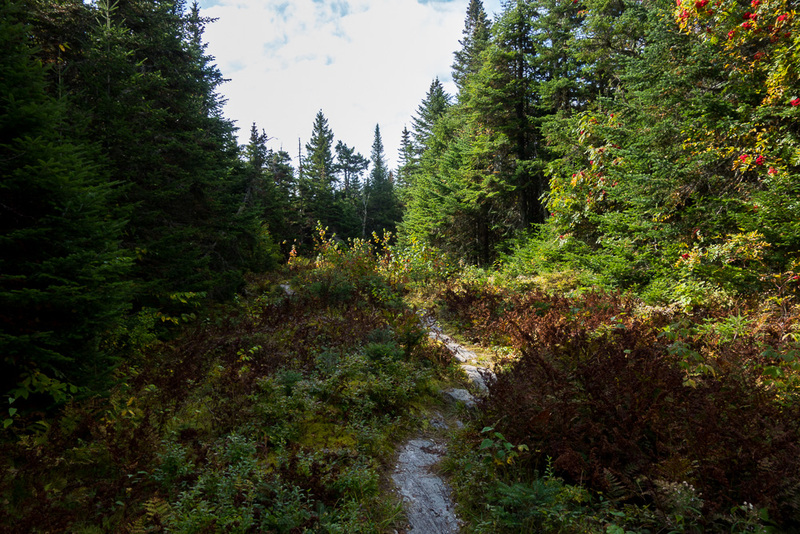 A “new” favorite of hikers experiencing the Cohos Trail is the 39,601-acre Nash Stream Forest, New Hampshire’s largest state forest. This section includes the dramatic and steep twin Percy Peaks. North Percy Peak features acres of steep bare rock terrain and a blueberry barren at the summit. The Forest also hides wonderful Pond Brook Falls, the Devil’s Jacuzzi, the first class topknot of 3,701-foot Mt. 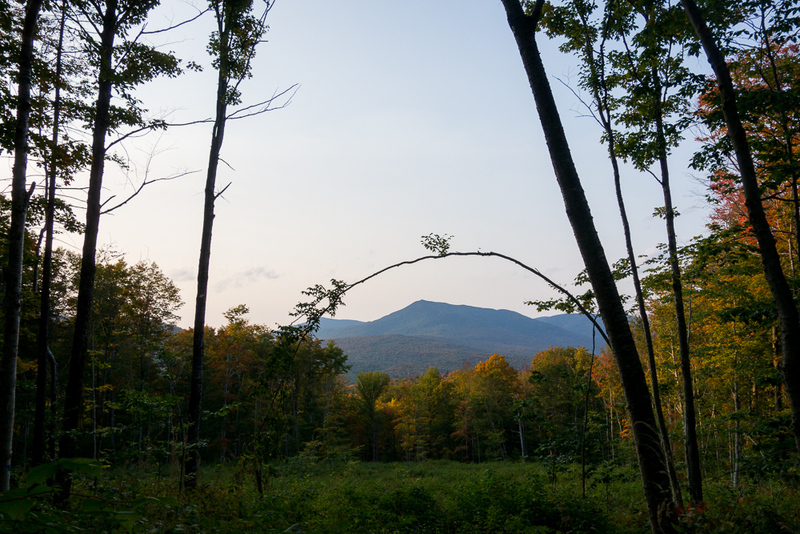 Sugarloaf, wild Nash Stream, Cathedral Meadow, haunting Gadwah Notch, and the delightful Bulldozer Flat with its panoramic view of very remote terrain. There is a timber frame shelter on the Arm of Sugarloaf, and an organized campsite on North Percy Peak’s north flank. In the future, other shelters may be developed in the area. One of three most dramatic notch environments in New Hampshire, Dixville Notch is the state’s smallest but most rugged and steep. It encompasses famed Table Rock with its dizzying 700-foot drop almost straight down to Route 26. This section houses Baldhead Shelter, with its 45-mile view, and Panorama Shelter 14 miles to the north. Sweeping outlooks from Dixville Peak and Mt. Gloriette can be had, and there is no end to cliff faces and sheer drops. Two waterfalls and a flume top off the adventure here. Best yet, Dixville Notch can be loop hiked in a long afternoon. For those who love green energy, one can occasionally see huge wind turbine towers on ridges to the east. This section of the Cohos Trail is largely confined to old farm lanes that thread through old or abandoned hill farms. The trek up MacAlester Road to Creampoke and the old Weirs Tree Farm is a family favorite and a welcome change in topography for thru-hikers. Many overnight on Clarksville Pond at Rudy’s Cabins and Campground just half a mile to the west of the footpath route. The north section is a meander along an old logging tote road and a three-mile walk along the shore lane beside 2,000-acre Lake Francis. At the top of the state of New Hampshire is a string of great lakes, one nearly 3,000 acres large, that form the headwaters of New England’s longest waterway, the Connecticut River. This lake country reveals a string of low summits that offer sweeping vistas of three states and Quebec province. The largest volume waterfall on the trail, Falls in the River, is a must. Stay at Lake Francis Campground or Mountain Bungalow (donations only) right on the trail, or chose to overnight at Ramblewood Cabins and Campground. The longest puncheon span (bog bridge string) in the state bridges a vast spruce bog here. At several points, there are expansive views over thousands of acres of lake water. From the large water impoundment dam at Second Connecticut Lake to the Canadian border, the Cohos Trail swings through moose country that is boreal forest, full of spruce and fir spires and copious wildlife. New Hampshire’s last primitive campground, Deer Mountain Campground, is a terrific overnight spot, particularly if you can get Site #28 on Moose Flowage backwater, with its 180-degree vista. The campground resides below big Deer Mountain with its newly restored trail up to the old superstructure of an abandoned fire tower. A side visit to the boat landing at Second Connecticut Lake (the gem of New Hampshire) can’t be passed up. The vista is exceptional. Finally, climb steeply up to the very source of the mighty Connecticut River, a tiny two-acre fen in a hollow right on the Canadian border. It’s trail’s end. 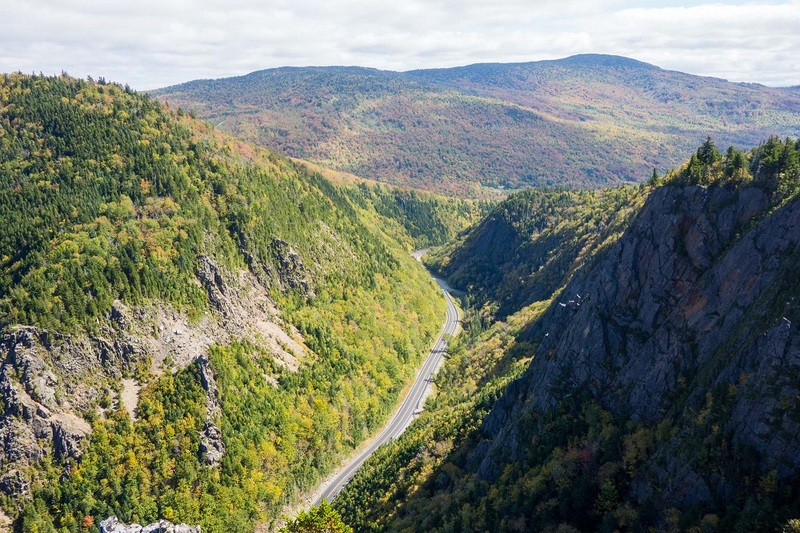 The Cohos Trail ends at the Canadian border, but its Quebec-based sister organization, the Sentiers Frontaliers, maintains more than 70 miles of dynamic trail on the rim of the boundary peaks that separate the watersheds of the Connecticut and St. Lawrence Rivers. 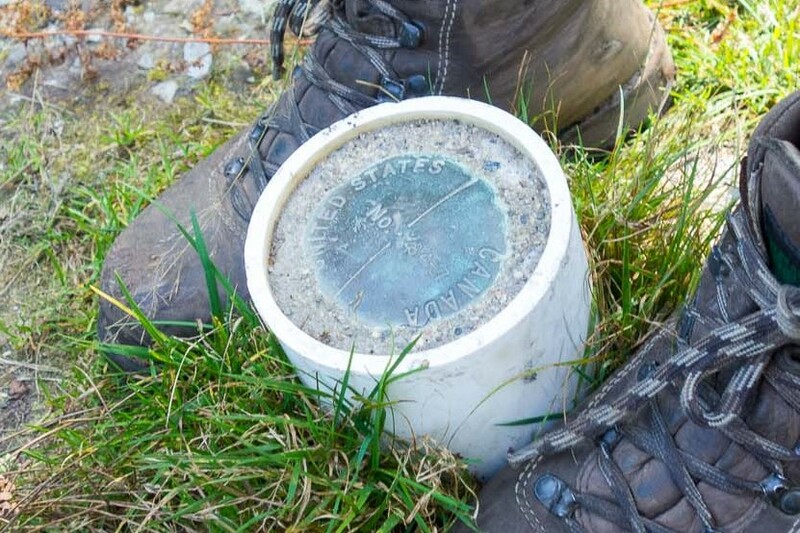 Those who can’t get enough thru-hiking can venture north to Mont Megantic and Canada’s largest astronomical observatory or eastward to Mont Gosford with its fine viewing tower. The Cohos Trail system and the Sentiers Frontaliers trails represent the second international trail system created in the East.